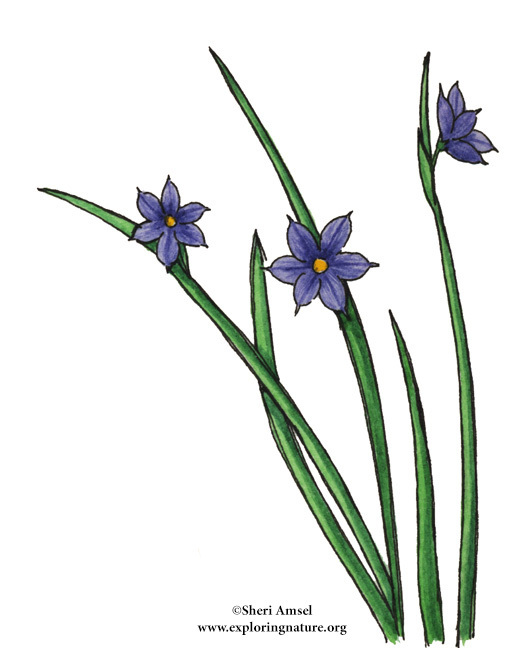 They are found in fields and meadows. 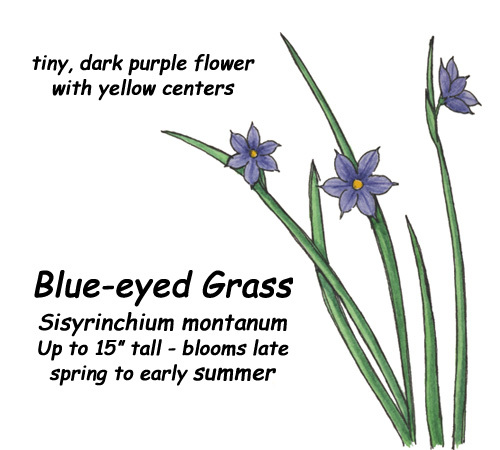 They are a tiny, dark purple-blue flower with a yellow center, on a grass-like stem. They bloom June through July.